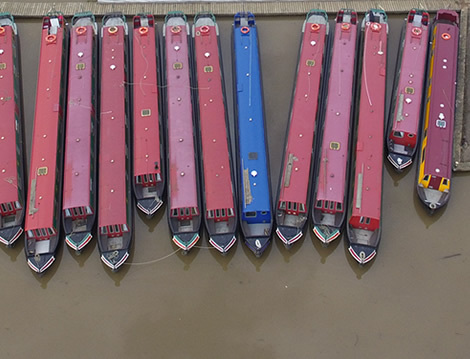 Your narrowboat journey will start at the converted wharf barn, situated on the Oxford Canal which is often regarded as one of England's most scenic canals. 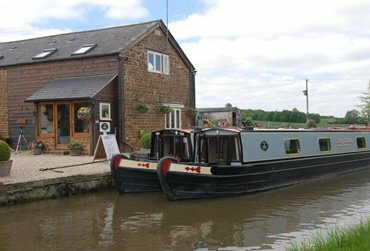 From Twyford Wharf you can either cruise north towards Braunston, onwards to Stratford upon Avon with stunning scenery of the windmill at Napton or south to the city of Oxford and onto the River Thames. 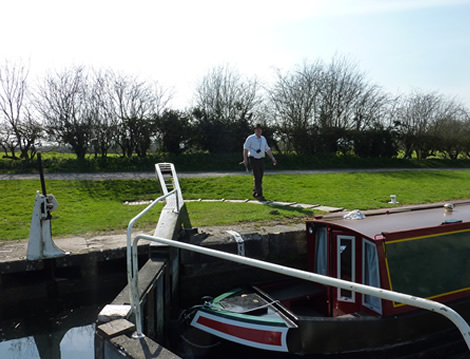 Cruise up to Lechlade on the Thames discovering great pubs along the way and wonderful scenic views. Oxford- Visit the City of Dreaming Spires and marvel at the unique blend of traditional and modern culture. As well as the beauty of the city's world famous colleges Oxford offers a host of tourist attractions and a vast selection of restaurants and pubs which give this historic city a vibrant and cosmopolitan feel. Windsor Castle - An official residence of HM The Queen Windsor Castle is the largest and oldest occupied castle in the world. Visit the State Apartments and marvel at the vast amount of treasures from the Royal collection. Take a guided tour which gives you a chance to take a glance at life at this magnificent castle. Rugby - Visit the School's Close where William Webb Ellis first picked up the ball and the game of Rugby began. Rugby town centre is an ideal place for a relaxed and enjoyable shopping expedition with a wide range of shops and stores on offer also a brilliant selections of places to eat and drink. Braunston - Where the Grand Union and Oxford Canal meet a perfect place to moor and watch the brightly coloured narrow boats pass by. Walk into the village of Braunston and have lunch and a pint of real ale at one of the village locals. Braunston - where the Grand Union and Oxford Canal meet a perfect place to moor and watch the brightly coloured narrow boats pass by. Walk into the village of Braunston and have lunch and a pint of real ale at one of the village locals. By Road : 'The Old Barn' at Twyford Wharf is situated between the villages of Kings Sutton and Adderbury, off Junction 11 of the M40. If you approach Twyford Wharf from Adderbury we are on the left as you come down the hill just before the canal bridge. If you approach via Kings Sutton we are immediately on the right as you cross the canal bridge. Please drive in and park on the gravel hard standing immediately inside the gate off the main road. On the other side of the road to us is Twilight Caravan Park. Groceries : Large Sainsburys supermarket within 2 miles. Banbury town centre is 3 miles with many shops.